Could you tell us a little about the Viterra acquisition, and how it happened? It was a complicated transaction and at that time I had little experience in major M&A. Canada and therefore Viterra became a focus for us because the Canadian Wheat Boards monopoly rights were about to be rescinded by the government. We were also already a big trader of wheat, barley and canola and these were key exports from Canada so it was complimentary. We began by looking at the business as a whole, and we identified the businesses that we didn’t want. We presold the fertiliser production and distribution to Agrium and CF Industries. We presold a smaller piece of the fertilizer business and some of the grain handling assets to Richardson. If the transaction hadn’t gone through those sales would have been unwound. We presold those businesses in part to help with financing the acquisition but also because we either didn’t want them or because we wanted to involve Canadian companies in the transaction. There wasn’t an anti-trust issue, as we didn’t already have a business in Canada, but we had to get approval as a foreign company taking over a strategic Canadian company. Pre-selling parts of the business to Canadian companies helped us enormously in getting Canadian government approval. We also sold off quite a number of businesses post the acquisition, like the pasta, malt business and the petroleum distribution business; we ended up keeping only about 50% of the company. The enterprise value of the total acquisition was $7.3 billion. At the time it was the biggest acquisition in our space—and still is. The deal was finalised in Toronto. The Viterra people were in a building and I was in a restaurant with the rest of the deal team just over the road. At one stage there was a long silence and we thought we had lost it to ADM. There was a bit of toing and froing during which I was on the phone with Ivan Glasenberg, Agrium and Richardson deciding whether we should pay more, and how much more. That was one of the beauties of working for Glencore and particularly with Ivan whom I reported to directly. For such a large company there was almost no bureaucracy. You could make big decisions incredibly quickly and easily. It was a huge advantage. Glencore is somewhat more structured now than it used to be, but to some extent it has to be given the growth of the business post the merger with Xstrata. It is still the same people though. And the company is people. It is only as good as the people that run it. Why did you keep the Viterra name? In Canada Viterra had a long history and a well-respected name, appreciated by the farming community, so we had no reason to change it. In Australia, Viterra itself had only bought the business three or four years earlier. Glencore already had a sizable trading business in Australia, headquartered in Melbourne. The Viterra business was headquartered in Adelaide and it was a separate non-trading business providing handling services to third parties as well as to Glencore, so it made some sense to keep the two separate. Glencore Ltd has transformed itself from a trading company into a mining and trading company. Is Glencore Ag planning any similar transformation, or did the Viterra acquisition already do that? I think we have largely already done that. Something like 80 percent of our earnings now comes from non-trading. But the asset businesses of Glencore Ag are quite different from the mining businesses of Glencore PLC. Even where we have a dense set of assets such as in Canada—65 country elevators and 5 port facilities—we are buying from the farmer and selling to customers around the world; nothing is entirely back-to-back. So these are asset-based businesses with strong elements of trading running through them. As I said this type of business now constitutes 80 percent of Cargill Ag’s earnings. Trading has become more difficult for reasons that are well known to everyone. This will not change. The transformation to an asset based company, both in Glencore as a whole and Glencore Ag bought Glencore PLC to where it is today with an annual EBITDA of $14-15 billion. This would obviously be quite impossible as a trading company. Already in the early 2000s we could see that pure trading was going to become increasingly challenging. Other trading houses are moving both ways along the supply chain. Cargill has moved into proteins; ADM and LDC into ingredients. Is Glencore Ag planning to do something similar? No. I think that is very difficult to do. If you are Cargill and you started to do that forty or fifty years ago, as they did, then that was the right move. They can continue in that same direction. It is a natural progression. For us to transform ourselves now from an upstream procurement, handling, oilseed-crushing company into a company that captures the full value chain—that includes refining, bottling, milling, branding, ingredients, feed—is very difficult. I say that for a simple reason: we originate about 80 mln tonnes per year and it is much easier to capture those big flows upstream as you are dealing with fewer origins. For example, Russia exports 40 million tonnes of wheat each year through five or six port facilities. Argentina supplies almost 50 percent of the world’s soybean meal through just a few export corridors. You can capture big flows in relatively few countries moving through big facilities. The business is much more fragmented on the consumption end. Egypt, the world’s biggest buyer of wheat, imports ten or eleven million tonnes and there are multiple importers and in turn numerous millers. One of the mantras that you hear in our business is that you have to capture the full value chain. We can’t possibly do that now. It would cost billions to build downstream businesses of a tonnage that was even remotely relevant to the tonnage that we secure upstream. That is not viable from where we are today. Instead we have to look at improving the core business by deploying capital in the right places. What do your Canadian shareholders add to your business—and do you think that at some stage Glencore Ag will spin off as a private company? Glencore Ag is already a separate company owned 50 percent by Glencore and 50 percent by our two Canadian shareholders. They add financial muscle. They are in for the long term. They bring certain insights and observations as an outsider in terms of analytics, finance and a global investment perspective that is valuable. Are you still looking at mergers and acquisitions? I still very much believe that the industry requires consolidation through mergers or acquisitions. Moving downstream is not tackling the problem. What I believe we need to do is stick to our core business, focus on developing the broadest geographic footprint to spread the crop and event risk, increase our economies of scale, and take a disciplined approach to organic expansion. The industry is still under pinned by good demand growth and seaborne trade will grow at a faster rate than consumption itself. Technology does not threaten our handling and processing business as it cannot replace the assets themselves. In the north of Brazil…in the US Pacific North West…..in the US Gulf….in the Ukraine…on the east coast of Australia. There was only limited overcapacity in Canada on the west coast but with recent investments in the port of Vancouver there will now be more overcapacity for a number of years. Not only is there over capacity, but also the existing installed capacity has become a lot more efficient, largely because transport has become more efficient. Trains and trucks are getting bigger, and operators have expanded their terminal input capacity. For example, the railroad in Canada and barge system along the Amazon are increasingly more efficient. Efficiency gains are of course effectively capacity gains. What is preventing M&A activity in the sector? A number of things. You would think that pressured margins would encourage acquisitions. The industry has had a difficult two or three years during which potential acquirers have had their own earning issues and were obviously less bold. Things were potentially cheaper but the buyers were more careful. On the other hand, sellers are reluctant because they think the industry is going to get better. It hasn’t yet. Anti-trust and foreign control regulation is also a potential hurdle to some combinations. Half of Brazil’s cane is used to make ethanol. Do you believe biofuels have a future? People blow hot and cold on biofuels. Politicians were positive on biofuels 12 years or so ago, and they set up structures to support them: either mandating their use or providing tax advantages, or both. This propelled ethanol production in the US and Brazil, and biodiesel production in Europe. In 2007/8 and again in 2012, we had periods of high crop prices and people became rightly very concerned about the competition between food and fuel. When you look at the amount of food that gets processed into fuel it clear why this is an issue. We should be very concerned about using food to produce fuel when people don’t have enough food. The other issue is when you look at the carbon footprint of biofuels and consider fertilizer, water and diesel use, you can question whether they are really that good for the environment. That issue hasn’t been completely resolved. This turned the politicians off and the political support was pulled. However, I think there has been something of a rethink. Food prices have come down and we have surpluses again. When that happens, biofuels can help support prices for farmers. Over 40 percent of US corn production is used for ethanol, and over 50 percent of EU rapeseed is used to produce biodiesel. If you took away that demand, prices would collapse along with farm incomes. How involved are you in biofuels? We have three biodiesel plants in the EU. Margins were low for 3-4 years with static demand and production overcapacity. In the past few years no new capacity has been added, and some capacity has been taken out. Demand has increased a little. Meanwhile, the drought last summer put some plants out of action as they couldn’t get their barges up the rivers. At the same time, the EU blocked SME imports from Argentina and, in some circumstances, PME from Asia. Margins have improved considerably and the business has been good for the past year. Biofuels are a good example of optionality in Ag assets. There is an embedded optionality in Ag assets. So assets are your biggest asset, so to speak! An asset base is essential today but in addition to their asset portfolios what distinguishes companies is their people, their culture, the way management and employees interact and treat each other—the respect they show for each other. What kind of a company do you want to make it? In the end any company can hire bright people, but it is the steps it takes to build a motivated, hard-working, entrepreneurial, fast acting team that is important for success. People spend the greatest part of their lives at work; they do not do it only for the money. The Glencore culture is a strength I believe, certainly helped in the early days by private ownership. It is something that must be nurtured to ensure that despite growth it is not lost. Thank you Chris for your time! Good morning Chris, and thank you for taking the time to talk with us. First question: You rowed in the Oxford & Cambridge Boat Race from 1979 to 1981 and are a four-time winner at Henley Royal Regatta. You won the silver medal in the eight at the 1980 Moscow Olympics. What lessons did your rowing career teach you that have been useful to you as a commodity trader? Sport for me is a microcosm of life, especially business life. As in everything, the more you put into it, the more you get out; the harder you work the better you become. So the things that you need to do to succeed in sport are the same things you need to do to succeed in business: effort, focus, discipline, and dedication. The beauty of sport is there is little politics, if you are fast nobody can deny it. There is no quick fix, it takes years of effort and hard work to do well in sport; the same in business! When the Canadian Globe and Mail interviewed you in 2016, the journalist wrote that you looked like you “could empty a grain silo in about 10 minutes with a shovel.” How do you keep so fit, and how does it help you bear the pressure of the job? I probably exercise five times a week, including cycling at the weekends. When I cycle I go at it hard. And in the gym I don’t sit on the rowing machine for 45 minutes. I do interval training, for example five times 1,000 metres. That is not only better for you but is also less boring! Also, I time and record everything, and I wear a heartbeat monitor. Ivan Glasenberg, the CEO of Glencore, was a champion race-walker for both South Africa and Israel, and runs one hour every morning with a group of senior managers. Is physical fitness actively encouraged at Glencore? I believe Ivan runs or swims every morning, there is an office swimming group I know because I have tried and failed to keep up with them when I have been in Baar. We used to run together when we were travelling. I think it is part of the culture, although not for everyone. When you are exercising hard you are not thinking about anything. In fact, if I am not suffering I find it less relaxing! Marc Rich once famously told his wife when they got married that he could spare the family 30 minutes on a Saturday and 45 minutes on a Sunday. How do you manage your work / life balance? That is absolutely not the case with me. There was one big transaction, the Viterra transaction, which was an exception. It was an intense six or seven month period during which I spent many weekends in Canada. That period aside, I believe I have always been able to balance my family and my work. I virtually never travel on the weekend—I make a point of that. My family is very important to me. When you were at Cargill you “invented” the model of modern sugar trading, levering large physical positions against futures positions and then making big profits on the futures. That was very innovative, although the model has pretty much run itself to death now. You could have ended up running Cargill. Why did you leave? I don’t know that I could have ended up running Cargill. I started in sugar which was relatively independent, and a little apart from corporate Cargill. Working in the sugar division of Cargill at that time was a little bit like running your own company. There was no real interference from above, but at the same time the financing and the corporate support were there. It was ideal. Cargill likes to rotate their senior managers, and in the mid-nineties I was transferred to the grain division in a regional management role. There are a lot of people in Cargill who know something about grain and, good company though Cargill is, there were too many opinions at that time for my liking. Perhaps unreasonably I found it restrictive and missed the trading and so I left, probably more my fault than Cargill’s. Didn’t you at one stage trade coffee? Yes, you’re right, but for only a short period. Every morning we had to taste different grades of coffee, and one day my colleagues played a trick on me, and slipped in two cups of tea. I couldn’t tell the difference! Let’s say I was not the best coffee taster in the world! When you first left Cargill you worked for a short while at Phibro? Yes, in Westport Connecticut with Andy Hall, who incidentally also rowed for Oxford against Cambridge, but a few years before me. I made the easy choice—which probably wasn’t the right choice—to go back to what I knew: to go back to the sugar business in a pure trading role. When I joined them, Phibro was part of Salomon Smith Barney, but a few months later they were bought by Travellers Group, and then three months after that they merged with Citibank. These were two big bank mergers and commodities didn’t fit their plans. Andy told me I could stay on, but that I would have to keep the business small, and focused entirely on futures and derivatives. I already believed that a pure derivatives trading business was never going to work in sugar. It had to have a physical base with origination, sales and a distribution book. Guessing whether the market was going to go up or down was never going to work, or at least it was never going to work for me. So you joined Glencore in Rotterdam. You had moved from Geneva to Westport, and after only a few months moved back to Europe. What did your wife think of that? She was not very happy. My wife is American—she had been excited about going back to the US, and that was one of the reasons why I accepted the position with Phibro. I remember promising her that this would be our base and this was going to be our life. We bought a nice house in Connecticut, one of those old colonial houses. Our daughter was born there. But eight months later we talked it over, and both realised that the opportunity with Glencore was just too good to turn down. She was very supportive. We agreed to give it a go for a couple of years, and that if it didn’t work out we would come back to Connecticut. That was 21 years ago. We moved to The Hague. She found it tough for a few years, but stuck with it. The Dutch are easy to get on with, and it is a lovely place to live—great for kids. We love it. I joined Glencore in 1998 as number two with geographical responsibilities for South America, the FSU and Africa, and became head of Agriculture in 2002. In 2011 your cotton-trading department lost $300 million, wiping out your total profits of that year. Would you like to briefly explain what happened, and what you learned from it? We had a large long position in non-US physical cotton hedged in the US futures market. It was a basis, or premium, position—not an outright position—so we believed our risks were somewhat limited. The physical market was tight at that time—both in the US and globally. Our position expressed the view that world cotton was undervalued compared to US cotton. One company decided to take delivery of the US cotton futures. They had specifically sold US cotton to their customers and wanted US cotton to cover their sales. The problem was that they wanted to take delivery of more US cotton than was physically available for delivery. Rather than swap US cotton for other cheaper origins, which was the economic thing to do in my view, they maintained their long position in US futures and the market went sky high. Non US origins also went up in price, but to nothing like the same extent. A huge differential opened up between US cotton and non-US cotton. You were head of Glencore Ag at that time, so the problem ended up on your plate? I was responsible for setting up the cotton desk so it more than landed on my plate. It was my plate. It was clearly my responsibility. We had hired a team from outside, because we didn’t have a cotton business. Clearly with hindsight we should have looked to have developed a cotton team from within, supplemented with outside expertise. Glencore in Switzerland was not happy of course but Ivan supported me in a way that I never forgot. How important is corporate culture, and if it is important does it make it hard for mergers to work in the trading business? Corporate culture is critical and that is one reason why it is challenging to acquire trading businesses. Acquiring assets—a logistics business and supply chain management—is easier. There is also the issue that unless you are willing to double the risk—double the size of the VAR—then one plus one doesn’t necessarily equal two. We also do not feel we need to buy trading expertise as we already have it. The programme for the FT Commodities Summit in Lausanne this year included a breakfast panel on Women in Commodities. Just holding the panel proved rather controversial; some conference attendees argued that the FT should have made more of an effort to include women on all the panels, and not have a separate one for them. The summit organizers told me that they had tried hard to do just that, but were sadly unable to find industry leaders who were female. Instead, panel after panel at the conference consisted of old white men in blue suits, white shirts and the, apparently obligatory, Hermes tie. (I mean no disrespect; I am white and just as old, and was for the occasion dressed in exactly the same way!) The failure to find more women wasn’t the FT’s fault; it is just that the top echelons of the industry are currently almost 100 percent male. Another criticism that I heard voiced at the event was that the women’s panel was 100 percent female. Indeed one of the panel participants told me afterwards that she had been surprised that, when she had looked out over the audience, she had seen that it was almost entirely male. She said that it had taken her a while to realize that that was because many of the women at the event were at that moment on the stage! This type of thing highlights the sector’s (sometimes justified) sexist and macho image. Quite simply, there are few women currently in commodities because few women wanted to be in commodities. The sector’s image often puts women off from wanting to join in the first place. Much therefore needs to be done first to improve behaviour, and then second, to get the message across that commodity trading is no longer the macho sexist world that it once was. I hope this website is doing just a little bit to help in that cause. There was some debate on the panel as to whether companies should positively discriminate in favour of women; some thought they should, others not. There are good arguments on both sides, but surely it is in the interest of every company to have more women on board. As every recruiter knows, hiring the right person is not just, or even necessarily, a question of academic qualifications and experience. When you recruit someone you are looking for the best person to fit in with, or lead, a team. And if your team is predominately male, then the best person may well be female. There was also some discussion over eliminating unconscious bias among recruiters. A panellist from the mining sector explained how her company trains managers to be aware of their unconscious biases regarding gender, race and religion. The panellist from the mining sector did make another key point: the mining industry is changing. She highlighted that one of her company’s mines in South Australia is now managed from Perth, making it easier to attract women. In any case, she added, the mining sector is replacing muscles with machines, making it easier for women to be competitive within the sector. But it is not just mining that is changing. Trading is also changing with more money now earned from supply chain management, logistics, and innovation than from outright trading. This change will, I believe, inevitably lead to more women seeking to join the sector. But even when more women are attracted to sector, women need to do more to help themselves to advance within an extremely competitive environment. One panellist told me afterwards that women tend to believe that all they need to do to advance in their careers is to work hard and do a good job. After all, their hard work at school was rewarded by good grades in the final exams. Unfortunately, this is not enough in the world of business. As Patricia Manso pointed out recently, hard networking and self-promotion are essential in any career. So in conclusion, the commodity trading industry is changing and in so doing so will naturally attract more women. Even so, the sector must continue to improve both its behaviour and its image. It also has to mentor male managers to recognise their unconscious biases. And once they are in the sector, women need to do more to get their contribution noticed. Unfortunately, it may take a generation for there to be an equal number of men and women on the stage at a future FT Commodities Summit. I may not be around to see it, but it will happen. The FT Commodities Global Summit last week in Lausanne once again attracted many of the top players in the industry. The conference has established itself as the “must-go-to” commodity event of the year; it is the only event that I know of where you can get a genuine feel of what is occurring in the wider markets. But not only that, it is the only commodity conference I know of without a single PowerPoint presentation! Paradise! This year’s event was entitled “Natural Resources in Transition”, and was, as expected, largely focused on the extractive industries: oil and gas, and metals. Electric vehicles were at the centre of the debate, and the effect that they would have on the demand for oil, lithium, cobalt and copper. Just a few years ago, people were discussing when oil production would peak; now the debate is about when demand will peak. The consensus at the conference was that demand will stop growing sometime around 2035, but there was some disagreement as to whether it would then decline or stabilize. But then consensus is often wrong. At last year’s summit there was a consensus that the supply of cobalt would not keep pace with its demand from battery manufacturers; everyone at that time was bullish on cobalt prices. This year, there was a consensus that, given the right price incentives, supply is far more elastic than you would expect. Most of the unexpected cobalt production has apparently come from artisanal mining in the DRC, unfortunately the type of mining with the worst safety conditions and greatest prevalence of child labour. Slowing growth in oil demand is encouraging the trading companies to look more closely at renewable energy sources, and I was surprised to hear biofuels being discussed in a positive light—the first time for many years. With the current agricultural surpluses and low prices, biofuels are once again profitable and, because they help maintain farm incomes, are once again finding favour with politicians. I don’t want to be a pessimist, but that will probably only last until the next spike in food prices. The food versus fuel debate has not gone away; it is only on hold. In addition to a keynote speech by Johnny Chi, the Chairman of COFCO International, there were three key panels on food and agriculture. The first, a “Leaders’ Debate, was with Ian McIntosh, CEO of LDC, Chris Mahoney, CEO of Glencore Agriculture, and Stefano Rettore, Head of Origination, Trading and Operations at ADM. The discussion was more upbeat than in a similar panel last year; margins have obviously improved, undoubtedly helped by the market disruption caused by the trade war between the US and China. The main point of disaccord on the panel was the right strategy to follow in response to what appear to be structurally declining margins. As LDC has made clear over the past year, the company is looking to diversify beyond straight trading to become a food company with an integrated supply chain. Similarly, ADM has made a big push over the past years into food ingredients and flavours. Glencore, however, believes their money is better spent on trying to increase efficiency in the portion of the supply chain in which they already operate, rather than seek margins in related businesses. The second agricultural panel was on Blockchain, and what it could bring to the trading industry. The answer appears to be improved efficiency and security, and lower costs—but no revolution. Also, it was made clear that Blockchain will take time to put into place; it is better to go slowly and get it right rather than rush it and mess it up. All of the major trading companies are cooperating on the project. My takeaway was that the future of food is twofold. It is first “flexitarian”, with meatless Mondays and a greater concern for animal welfare. And second, and perhaps somewhat contradictory, the trend will continue for diets to contain more protein and fewer carbohydrates. So no respite then for the sugar industry. Louis Dreyfus Company is due later this week to publish their annual report and accounts for 2018. The company’s CEO told Reuters that year-to-date results had “significantly improved;” he suggested an upturn after a first half sapped by a soy price-hedging effect and emerging trade tensions. To put that in perspective, 2017 group net income was $225 million, excluding the now-sold metals business, close to 2015’s decade low of $211 million and well below a record $1 billion in 2012. In the late 1970s, when he was researching his book, Merchants of Grain, Dan Morgan had considerable difficulty in obtaining any information from the “shadowy and unknown” grain trading companies. At that time they did not publish financial results. With the exception of Cargill, they provided minimal assistance, or none at all, in the preparation of his book. In 1976 the French magazine L’Expansion, called Louis Dreyfus, “a commercial empire of which one knows nothing.” Pierre Louis-Dreyfus invited Dan Morgan to lunch in his private dining room. The fish with cream sauce was apparently superb, as was the wine, but the journalist left without learning anything of interest about the company. Georges André, head of André & Cie—and the original “A” of the ABCD group of trading companies—invited Dan to “an excellent lunch of brook trout in a village restaurant,” but all he got out of it was some historical data. ADM—the new “A” in the ABCD group—was no more open. When Dwayne Andreas became CEO of the company in 1974, one of the first things he did was to eliminate a 27-person public relations department. Dan was granted a one-hour interview with Michel Fribourg, president of Continental Grain, but later received a letter from Continental saying, “It has been decided that we choose not to participate in further interviews with you.” The company had been in the grain business since the start of the nineteenth century, had never published a company brochure. But then the company’s controlling families had a particular reason for avoiding the limelight. Five years earlier, in September 1974 in Buenos Aires, the Montoneros—an Argentine youth movement—kidnapped Jorge and Juan Born, 40 and 39 years old respectively, the grandsons of the founding partner and heirs apparent of the company. Juan Born was released six months later, in March 1975, and Jorge in June 1975. No details were even given as to the ransom paid for Juan, but the Montoneros claimed that the Bunge family had paid $60 million for the release of Jorge. Although that doesn’t sound like much now, it was a huge sum in 1975, equivalent at the time to one third of the annual Argentine defense budget. Glencore, the successor company to Marc Rich, is now a public company, as too are ADM and Bunge. Cargill and Dreyfus are still privately owned, but both act as if they are publicly quoted; they publish detailed company reports and actively interact with the wider community, whether bond investors, clients, banks or journalists. COFCO, the new giant among the grain trading companies, is Chinese-government owned. All of the large agricultural commodity companies are now active on social media, and actively engage with NGOs on issues related to environmental sustainability or human rights. Agricultural merchants are still being dragged into the town square of public opinion, and they are still regularly being blamed for varying misfortunes, but they are now very much out of the shadows. I hope to publish my new book, “Out of the Shadows: The New Merchants of Grain” this autumn. I have just finished reading The King of Oil by journalist Daniel Ammann, a book* that tells the story of the legendary and controversial trader Marc Rich, whom the FT once described as “one of the wealthiest and most powerful commodity traders that ever lived”. I would recommend the book to anyone that is interested in commodities. Marc Rich, born Marcel Reich, the Jewish boy-refugee from Antwerp, barely escaped certain death in the Holocaust…Penniless and unable to speak a word of English, the young Reich fled (with his parents) to Morocco by freighter and, with a great deal of luck, finally reached the United States. “The notion of taking risks was as foreign to him as for the entire company, and this was reflected in Philipp Brothers German motto…”It is better to sleep well than to eat well”. The principle was drummed into employees that it was better to avoid a lucrative deal if the risks involved were high enough that they might endanger the entire company. Marc Rich & Co was spectacularly profitable from the start, and by the end of the 1970s had thirty offices around the world. The five partners divided themselves between New York (where March Rich himself worked), London, Madrid and Zug. In 1983, however, U.S. authorities charged Marc Rich with evading taxes and trading with Iran during the 1979/81 hostage crisis. Rich fled to Switzerland where he lived as a fugitive for 17 years. Marc Rich admits buying oil from Iran during the embargo, as well as to supplying oil to apartheid South Africa, and bribing officials in countries such as Nigeria. However, he argues that all this was legal at the time. For example, the bribing of foreign officials was legal in the United States until the passing of the Foreign and Corrupt Practices Act of 1977. In Switzerland, it remained legal until 2000. And as a non-US company based in Switzerland, Marc Rich & Co was legally (if perhaps not morally) exempt from the embargoes on Iran and apartheid South Africa. Bill Clinton officially pardoned Marc Rich on the President’s last day in the White House in January 2001. The pardon was highly controversial, but, according to Daniel Ammann, it was the result of heavy lobbying by Israel. Throughout his career, Marc Rich had given large sums to the country, as well as working closely with Mossad, their security services. The author describes an interview that he conducted with an ex-Marc Rich trader in a New York bar. “Ethics,” he laughed. Then he pointed to my Diet Coke. “Your Coke can is made of aluminium. The bauxite that is needed to make it probably came from Guinea-Conakry. A terrible dictatorship, believe me,” he said. “The oil that is used to heat this room probably comes from Saudi Arabia. These good friends of the USA hack the hands off thieves just as they did in the Middle Ages. Your cell phone? Without coltan there wouldn’t be any cell phones. Let’s not pretend. Coltan was used to finance the civil war in the Congo.” Do the people who criticise our work want to know any of this? Or would they rather just pick on us so that they can feel better about themselves”. By the early 1990s, the legal case against Marc Rich was taking its toll. A difficult divorce and the death of his daughter added to his woes, and the partners began to worry about their company’s future. Marc’s legendry feel for the markets deserted him, as did many of his key traders. A failed attempt to corner the zinc market left the company with $172 million in losses, and the firm was struggling. After at first resisting, Marc Rich finally sold his 51 percent majority share in the company in a managerial buy-out for an eventual total of $600 million. The first thing that the new owners did was to change the company name to Glencore. The company went public in May 2011 and now has a market capitalisation in excess of $42 billion. Unless I am mistaken, there is no mention of Marc Rich on the company’s website. It is almost as if he has been airbrushed out of history. Marc Rich himself died on 26th June 2013 at the age of 78. Despite his pardon he never returned to the US. Women are underrepresented in the commodity trading business, in particular in sugar trading. Amongst the top trading houses that control 85 percent of the total sugar traded in the world, less than 10 percent of physical traders are women; and none of them holds a senior trading leadership position. This has led to me to ask whether differences in the way women and men develop and use their career networks could explain this underrepresentation. Networks are essential to career development because they give access to information and knowledge, as well as to decision makers, influence, endorsement and reputation, emotional support and recognition. Both male and female traders that I interviewed acknowledge that developing and nurturing career networks matter, and both invest in significant effort in doing so. Based on the interviews, I identified the structure of male and female traders’ networks and their networking behaviours. I concluded that career networks of men and women sugar traders are similar in terms of size and diversity. Moreover, female sugar traders tend to engage in networking behaviours to a similar extent (frequency) compared to their male colleagues. However, they differ in other aspects—ways that may be deterring women from accessing and ascending in this profession. Key differences refer to the proportion of high-status individuals and to the proportion of strong ties. Women sugar traders’ networks tend to have less high-status individuals than men’s and to have a lower proportion of strong ties. Moreover, even though female sugar traders engage to a similar extent as their male colleagues in professional activities (conferences and seminars, for example), and in community projects, other differences came to surface. First and foremost, female sugar traders engage in activities that increase internal visibility less often than their male colleagues. This could be going to lunch with their supervisor, or being on highly visible committees at work. Instead, women tend to engage more often than their male colleagues in maintaining contacts and socializing activities. Based on these findings, how can women close the wide gap in the trading profession? I recommend three strategies. STRATEGY ONE: Nurture strong ties to strategic partners. Female sugar traders’ networks have a smaller proportion of very strong ties compared to a male network. In today’s highly connected world, weak ties may be less relevant for career advancement. The intensity of the relationship with other individuals in the network does matter enormously as a source of social capital. For career advancement, resources like endorsements, validations and sponsorships that come from emotionally strong ties may prove more effective for female career advancement than access to novel information from weaker ties. STRATEGY TWO: Participate more in high-visibility activities. Other studies have highlighted the fact that women need high visibility to build legitimacy. Excellent performance and solid human capital are necessary, yet not sufficient, conditions for women to advance to managerial and leadership positions. STRATEGY THREE: Be more selective in terms of networking: quality over quantity. Time is limited and women already engage in several networking behaviours. The key is to become more selective, and to think more about impact. This means that every time you participate in a network you should be prepare in advance to maximise impact. Note: These findings are based on my final project presented as part of the Diploma in Organizational Leadership from the Saïd Business School at the University of Oxford (October 2018) The title of the assignment was Social capital and career development: is there a gender gap? Evidence from the Sugar Trading industry. As part of our efforts to encourage more women to join the commodity business we will be running a series of interviews with successful women already in the sector. We caught up with Kona Haque in Dubai. Kona joined ED&F Man in May 2014 as Group Head of Research, responsible for the company’s commodity and macroeconomic research team (including Volcafe coffee). She previously worked at Macquarie Bank where she was responsible for agriculture and soft commodities research for seven years. Kona spent four years as Senior Commodities Editor / Economist at the Economist Group. She has also worked for a shipping consultancy as Director of Bulk Commodities and spent four years at Metal Bulletin Research, specializing in base metals. Other experience includes working as an economist for a grains market information provider and with the United Nations in Rome, Italy. Kona has an MSc in Economics from the London School of Economics and a BSc in Agricultural Economics from Reading University. Good morning Kona, thank you for joining the conversation. First, I would like to ask you why do you think there are so few women in commodities? Commodities as a sector generally seems to do a bad job in attracting women. This could be due to perception – commodities are essentially “raw materials” for processing, which may be seen as a place for engineers or heavy-lifting personnel, which tends to be male-oriented. But within the commodities space, I would say that metals and energy are even more skewed towards men compared to the agricultural or softs sector. The latter has a softer image, and in my biased opinion, I think is better able to attract females. But there are areas within commodities that are very well represented by women – such as Finance, HR, operations and Research. At any rate, times are changing and I’ve never seen the commodities sector so keen to employ women as I have now. It is only a matter of time before the balance improves here too. Do you think being a woman has held back your career? Not at all. I joined the sector over 20 years ago when investment banks were just beginning to build their commodities desk in anticipation of the bullish trend following the rise of Chinese demand for energy, metals and food. At that point, the search was on for anyone with a good background in commodities – which I had. Since then I have always tried to be the best version of me, as a commodities employee, that I could possibly be, which in turn gave me recognition and allowed me to compete with other men on a level playing field. So even though I would typically miss out on male oriented after-work drink ups, golfing networks or what have you, I strived to build value by outperforming my peers during work hours, for example. Is travel a factor: women may be less safe than men going out to get business, particularly in developing countries? Developing countries are not inherently unsafe, local knowledge is important and we have many female colleagues in our origin locations. A good company will never force you to travel to dangerous locations and staff are counselled to take precautions when traveling on business. Inevitably, when women get married and have families, travelling far and often becomes less easy. This is something that is not unique to commodities though – it’s across businesses. To solve this, the goverment and companies alike will have to come up with solutions that enables mothers to travel more often knowing that they have reliable alternative home arrangements during their absence. Women tend to work better in networks rather than in confrontation. 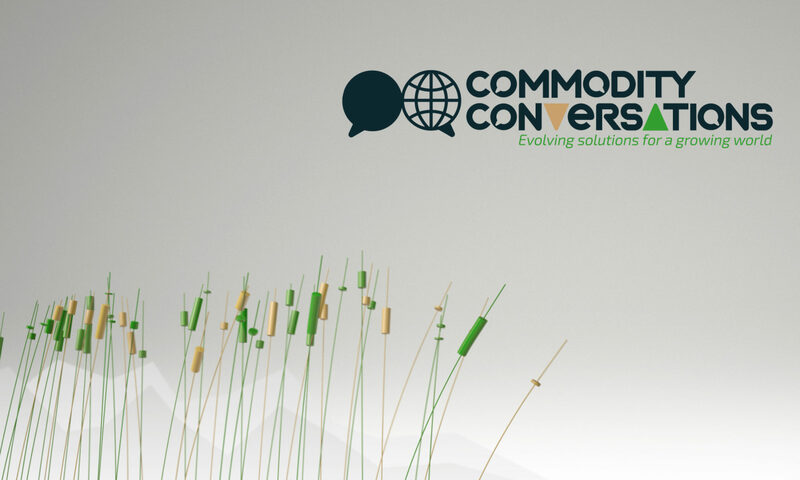 Do you think the way that the commodity trade is evolving will result in more women being involved. Commodity trading doesn’t always have to be confrontational! And some women are quite good at it any way – it all depends on individual personalities. I’ve yet to come across a role in Commodities that is truly gender specific, I think women can be as good as men (if not better) in many of the roles that are traditionally male oriented. The challenge is to get women to apply for those roles. At ED&F Man, we’ve been actively trying to boost women applications at all levels. We train hiring managers on unconscious bias and we promote the idea of commodities as a career to both our own employees and to young people who we mentor (e.g. through our relationship with Future Frontiers). We have a Women’s Network which was set up to encourage women to aim high at ED&F Man and in our wider industry. Commodity companies need to be more active in recruiting at an early stage. Some universities, for instance, offer very good courses in Commodities (e.g. Geneva, City or Cass BS) – which have opened up the field for women as well as providing a very strong talent pool. What advice would you give to a woman looking to enter commodities? I would say go for it! I have enjoyed every minute of my career in commodities, and have no desire to switch to another industry. Commodities are real, tangible and international. It’s influenced by changing politics, weather and economic trends so there’s never a dull moment. None of this is gender specific, and as long as you are good at what you do, women from all countries and backgrounds should join the sector. Women should look for a company willing to invest in people and ideally find a mentor / sponsor. It’s important to be open minded and confident in your abilities (and definitely not a shrinking violet), as there is a lot of scope to move around the industry and flourish. Teams that have a good gender balance are known to be high performing, so if the Commodities industry can boost the intake of women, can you imagine how far it can go? PS: We are keen to interview successful women in commodities. If you would like to make your voice heard on the subject please contact us. The campaign against sugar has picked up pace since the start of this year and shows no sign of slowing. The Sunday Times dedicated the cover of their weekly magazine to sugar, while the Arte television channel in Europe rebroadcast the 2016 Canadian documentary “Sugar: the sweet lie”. Meanwhile Netflix is working on a programme to be broadcast later this year on corruption in the Florida cane sector. The sugar sector continues to be taken aback by the success of the anti-sugar lobbyists. Sugar professionals have long known that per capita sugar consumption in developed countries has been falling since the 1960s, and they find it both unfair and illogical that sugar be blamed for the surge in obesity that began in the 1970s. After all, according to the “Sweet lies” documentary (above), world sugar consumption increased 40 percent the 30 years up to 2016. However, in the same period, world population increased by 50 percent, from 5 billion in 1986 to 7.5 billion in 2016. As such, per capita consumption fell during the period. What many in the sugar business had expected to be a short-term fad has accelerated the long-term down trend in consumption. Sugar has been demonised, and the fall in per capita consumption has reached the point where, in the UK at least, total consumption is now falling. This is the new reality facing sugar producers. But as always, change, no matter how negative, always throws up new opportunities. It is the way that companies react to change that defines them. Negative can be transformed into positive. Companies must continue their work in trying to correct the widely held belief that sugar consumption is the cause of the global obesity epidemic. There are some signs that that tide may be turning, as in this recent BBC podcast, but for the moment the sugar sector is still swimming against the tide. No matter how tiring it may be, it needs to keep swimming! The sugar sector has responded to falling profits by cutting costs. Economies of scale are significant in sugar: producers have tended to build large mills or refineries and maximise output to reduce unit costs. There is a tendency for cost cutting to result in increased supply—and increased supply usually results in lower prices that negate the costs saved. When demand is stagnant the only way around this is close the smaller, less efficient mills and concentrate production in the bigger ones. This is already happening in Europe, but the social cost of mill closures can be high. Unfortunately, the social cost of a milling group going bankrupt can be even more horrendous. The sugar industry has a history of innovation, but to be more effective, innovation should be in the form of new products and processes, rather than simple cost cutting. Blockchain can reduce costs, but (see above) if it lowers costs across the whole sector it may just result in lower prices for the consumer. That’s a good thing, but a better thing would be a new product that the consumer may be willing to pay more for. That could be a sugar-stevia mix, or anything that comes under the SOFT (Sustainable, Organic, Fair Trade) category. There are opportunities here to turn a commodity into an ingredient. As the Executive Director of the ISO recently pointed out, some of the most successful companies in the sugar sector currently are the most diversified, whether into pizzas or fruit concentrates. It can be tricky for a company to shift focus from its core competence, but it can be worth the effort. Trade houses are already moving that way, turning themselves into food companies, and sugar companies are slowly following. So, in conclusion, the world is changing and the sugar sector is changing with it. Of course it could do more–and will do more–but the first steps are promising. At the end of every year since 2006, Rabobank asks their contacts in the food supply chain (“ranging from start-up founders to CEOs of zillion-dollar companies, and everyone in between”) the following question: “In the world of food, what surprised you the most over the last twelve months?” This year they received over 200 responses, some surprising, some less so. One “surprise” that was cited was the different ways in which consumers respond to technology in their food supply. Some clients detected a thawing in relations between food and science: although “consumers have been rejecting science more and more over the past decade” (such as the non-GMO movement), there is growing appreciation of the role of technology in many aspects of food and agricultural production”.